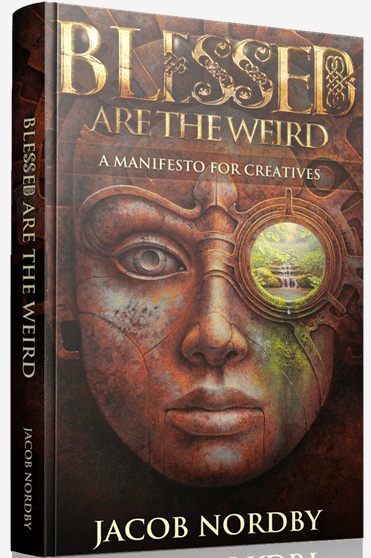 Blesse d Are the Weird: A Manifesto for Creatives by Jacob Nordby lives up to its title as a public declaration of the ideals of his Blessed Are the Weird online tribe. Nordby expounds on his original short piece, drawing on the model of the Beatitudes in Matthew 5. Each chapter delves into a line from the original piece. What I appreciate most about this book is the overall energy. At one point I even wrote in the margin, “This book is like one long motivational speech!” His obvious passion and personal stake in the subject matter propel the reader along from one idea to the next. My biggest takeaway from the book was this: “In our formula for Real Magic, the first thing is to know ourselves. Next, we ask what we truly desire” (141). The pace gets significantly bogged down by the so very, very many long and repetitive quotations. I found myself wishing he had taken more time to paraphrase and integrate the concepts into his chapters rather than just peppering them with large amounts of other people’s words. It made me wonder if underneath his energy and passion there might still be some insecurity whispering that he needed to prove his position had merit with the support of lots of things other people had said. I also found the chapters to wear a little long, and the pace (and my engagement) waned toward the end of the book. Overall, I think anyone who is an Enneagram 4 will appreciate and resonate with this book. His mission, as I understand it, is to free people from being locked in their mundane and “soul-killing” lives to pursue what they were really made to do–whatever that might be, and however weird, strange, and magical it might seem to everyone else. If you are sensitive about strong language or spiritually synchronistic remarks, then this book is not for you. I’m happy to announce that I have joined a network called Speakeasy, which provides books for bloggers to review. I will, from time to time, be adding book reviews from this network to the Book Review page of my website. Email subscribers will automatically receive new book review posts when they are published. 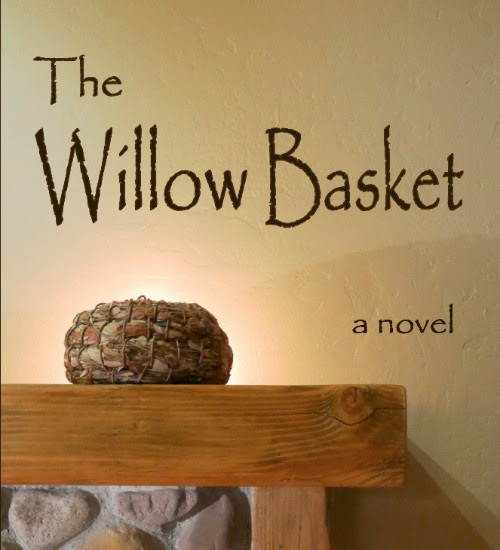 The Willow Basket is a historical romance novel by Adrienne Peterson. I was first interested in reviewing this book because of its claim to involve elements of mysticism and faith through dreams, which greatly intrigued me. I was excited about the possible connections to be made between the spiritual life and the ordinary, daily life and the resulting possible implications for our ongoing discussion of holistic body theology. Unfortunately, I was largely disappointed by this book, in part likely due to the expectations I brought to the experience of reading the novel. In addition to its poor writing style, undeveloped characters, and plot holes, I actually didn’t realize The Willow Basket was going to be a romance novel, which is not a genre I particularly enjoy. But that is all the literary critique I will offer. What I appreciated about the novel was its attempt to paint the main character as an unintentional mystic who despite the lack of support and understanding from her boyfriend and family, not to mention her own apprehensions and confusion, managed to stay with the unexplained experiences she was having. Instead of shutting it all down, she willingly and intentionally opened herself up to the dreams/visions/ghost visitations (the plot was never very clear about that point), received from them what they freely offered her, and then used what she experienced to inform her work and even her life choices. Although the main character was clearly aware that her experience of the spiritual realm was counter-cultural, she leaned in anyway and chose to surround herself with those people (namely, her archeologist friend) in her life who would encourage and help her understand her experiences. I also liked that the mystical experiences she had were connecting her to past generations of women in her family history, which I think in our American culture we are often all to quick to forget or appreciate. Ultimately, it was not my kind of fiction, and I found myself too easily pulled out of the story and distracted by the overall lack of craft. But if you like romance novels, then it might be worth a read.